My involvement with In-Public, burnished by my recent brush with HCSP, has reinforced the sense that there are a lot of street photographers in the UK. Surely Great Britain must be the current center for street photography. I'm not sure why that is, but for me it raises the larger issue of national styles. Can specific countries and/or cultures be identified with certain types of photography? One thinks immediately of Japan. A lot of what I've seen from that country seems to follow the Daido Moriyama pattern of grainy, b/w high contrast snapshots. Eikoh Hosoe, Nobuyoshi Araki, Kohei Yoshiyuki, Shomei Tomatsu, and Kikuji Kiwada are just a few that come to mind. I don't mean to brand the entire country in this style. Obviously there is a variety of work being done there, but when you think tortured Tri-x don't you think of Japan? Germany is another country with a clear photographic identity, thanks partly to the influence of the Bechers but also apparent in the pre-war work of Sander, Renger-Patzsch, and Blossfeldt. The German approach seems to dry, scientific, and thorough. The written equivalent of a German photo might be an encyclopedia entry laying out just the facts in the clearest manner possible. 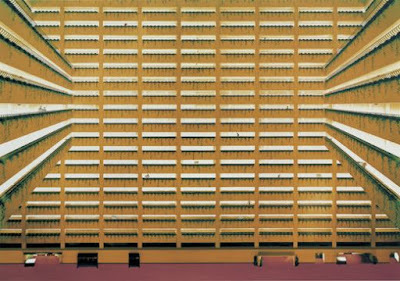 Gursky and Struth are probably the prime examples. Again I don't mean to stereotype every photographer in the country but I do think some German photography reflects a national sentiment. French photography shows a strong streak of romanticized perfection. A kissing couple perfectly under an arch at dusk, something along those lines. 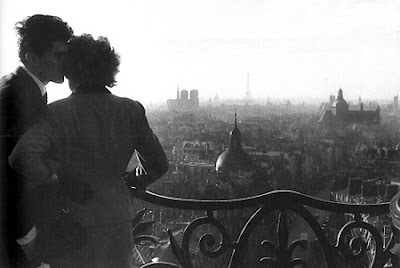 Doisneau is probably the exemplar, but also Ronis, Cartier-Bresson, Brassai, Riboud, etc. These are all masters of composition, mood, and the moment, and together they've forged a 20th century French style closely associated with those characteristics. The mention of Brassai brings up Hungary, where he was born (he moved to France at age 3) along with a slew of other prominent photographers: Kertesz, Munkacsi, Moholy-Nagy, the Capas, Plachy. What do these photographers have in common other than relentless sense of exploration? Don't ask me. I just think it's curious that a relatively small country has produced so many strong photographers. What's in the water over there? So what about America? As with many facets of my country, its photography scene is a melting pot of styles from which it's difficult to extract any dominant strain. That said, I think the f/64 style has had a prominent run that continues to this day. You know the style. Adams, Weston, Sexton, Caponigro, etc. You find some formally interesting slice of nature, previsualize it in all its majestic perfection, then capture it in the clearest way using a view camera (or the latest-release maximum-pixel digital SLR). This style seems to attract many American photographers who aren't really sure what else to shoot. It is definitely the default mode for the average coffee-shop wall art. If they'd learned photography in Japan they might be aiming at commuters on a train. Here they follow f/64. 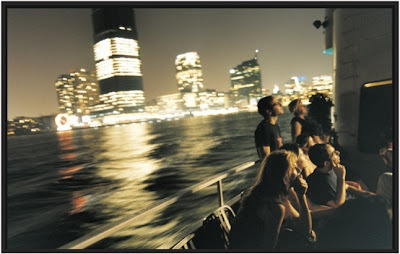 Even American photographers who don't follow this style, and there are many, I think are influenced by it. The unexplored Western Frontier and our collective sense of manifest destiny show up in the open spaces of O'Sullivan, Watkins, Jackson on up through the New Topographics to today. Exploration is prized. Nature is glorified so long as it can be compartmentalized, which suits photography just fine. As you can see these are incomplete thoughts, less of a scientific analysis than back-of-the-napkin musings. All of the examples above are stereotypes for which there are many counterexamples. But I think the question is worth considering. Do some countries have a national photographic style and to what extent does it effect each of us? I'd be curious to hear comments from folks in the countries I mentioned or from other places. How do you think your national heritage has effected your photography? Or maybe you think I'm full of it and the question is silly. Either way please let me know. i agree with you about japan, its photographic tradition is part of what drew me here. perhaps part the reason why the b/w snap tradition is so strong is that most of the cities had to be rebuilt right after WWII. much of the architecture is (to be kind) drab and blocky, which makes for a good fit with high contrast b/w. there's much more than daido and "tortured trix" into japanese photography. even tomatsu and araki are a good example of that. pedantic part2: and he worked for Eikoh Hosoe himself.. I used Moriyama as an example because that's who I most closely associate with that style. He may have followed the other two but when I think of the style described in this post, I think first of Moriyama. Maybe we don't more need stereotypes, but I think it's fun to look step back and look for broader patterns. I guess it amounts to the same thing. This is a really interesting question and I think you touched on the crucial point when you wrote, "a lot of what I've seen from [Japan] seems to follow the Daido Moriyama pattern". I think the real issue is that although we are lucky to be able to see a lot more photography from other countries than before, what we get shown generally sticks to certain stereotypes. Despite the fact that Japan produces more (and I would say more diverse) photography than practically any other country, in Europe and the States, there is a certain expectation of what we want to see from a 'Japanese' photographer and this is what gets shown. 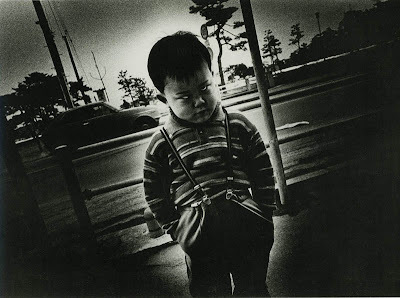 Oh and don't forget that Moriyama was influenced by Tomatsu but perhaps even more by William Klein, whose New York series basically gave Moriyama his photographic aesthetic. ...and photography on MLK Jr.
Mike Peters: What Was He Thinking?